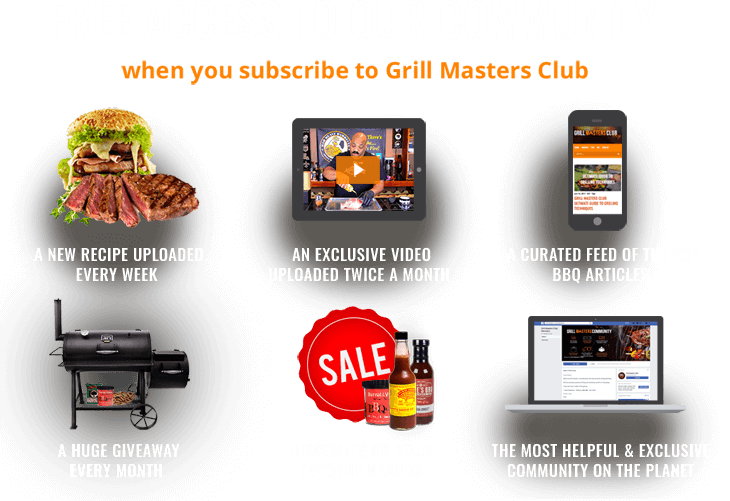 to my door each month. 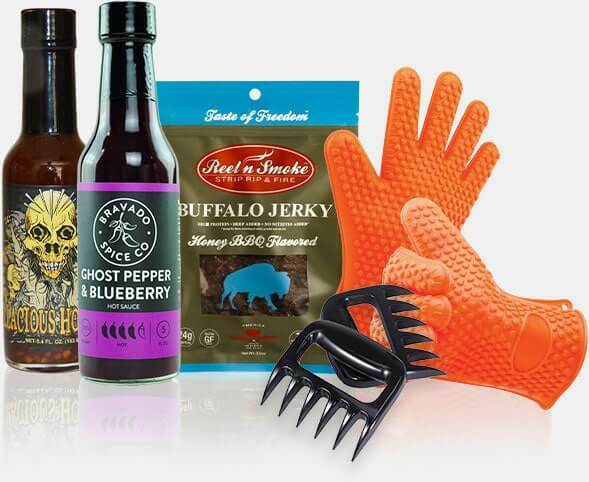 and a delicious recipe to use the products with. 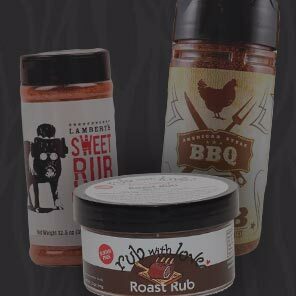 Topping off a set of ribs with sweet and tangy BBQ sauce can make that perfectly smoked pork taste that much better. 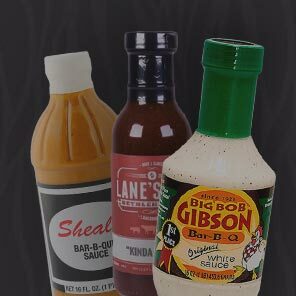 Our curated award winning BBQ sauces are the gold standard for any smoked meat enthusiast.  BBQ sauce can be more then just the sweet tomato liquid we are used to. 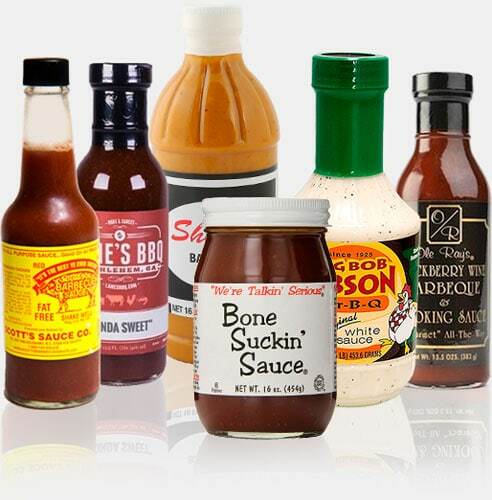 Explore all the different regions and styles with our wide range of sauces. So why always use the same one? 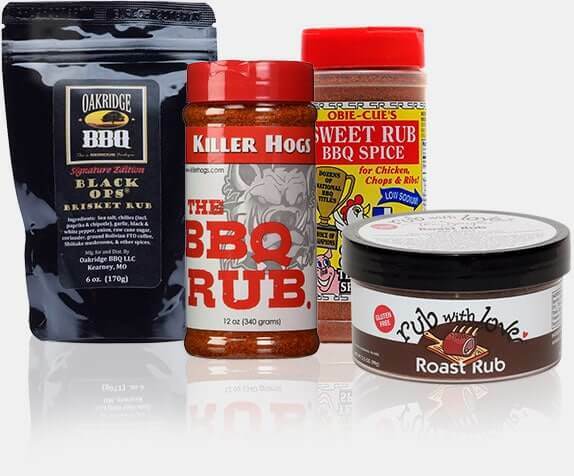 Try exotic spices and flavors from all over the world with our selection of BBQ rubs. 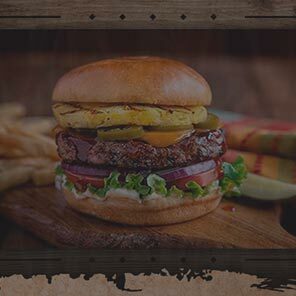 Sweet, spicy, tangy, citrus… we have it all covered. 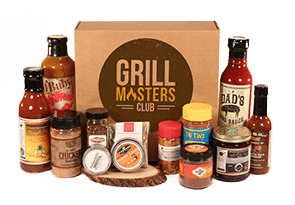 Chef’s choice is the surprise item of the month included in our box.  Our certified BBQ judge may include an accessory like a pair of BBQ gloves or an injector to infuse brine into your next brisket. 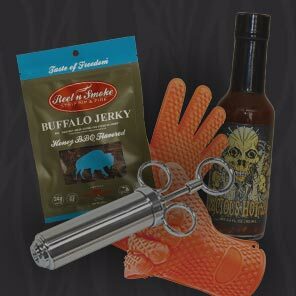 He may include a highly touted hot sauce or a delicious jerky for you to snack on while your meat cooks. Or he may include something you haven’t even heard of. As they say, “With great power comes great responsibility”, and he is up to the challenge. 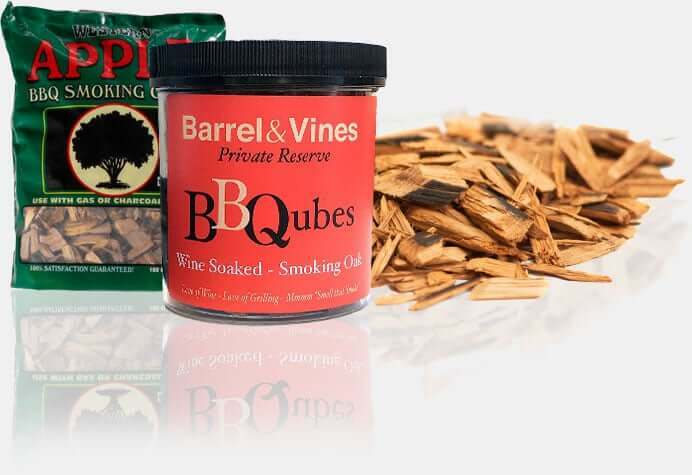 Impart great smoke flavor onto your grilled or smoked meats with some wood chips. 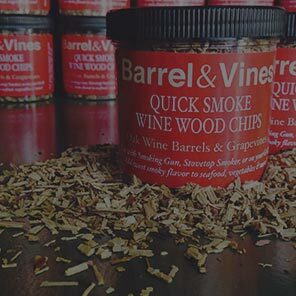 Our wood chips come from all sorts of trees from cherry to hickory to wood chips from wine barrels. 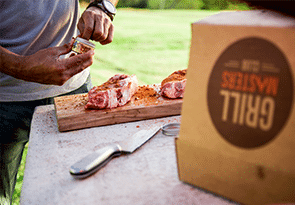 We leave no flavor unturned when we look for the best wood for your meats. 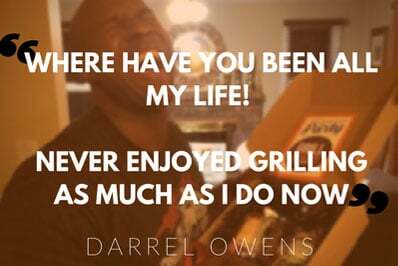 So now you have a bunch of quality BBQ products. But what do you plan on doing with them? Well, don’t worry, we thought of that too. 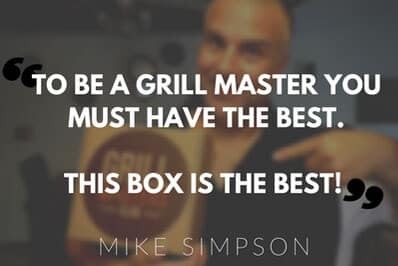 Each box includes a delicious and expertly crafted recipe so you can try out your new products in the best way possible. 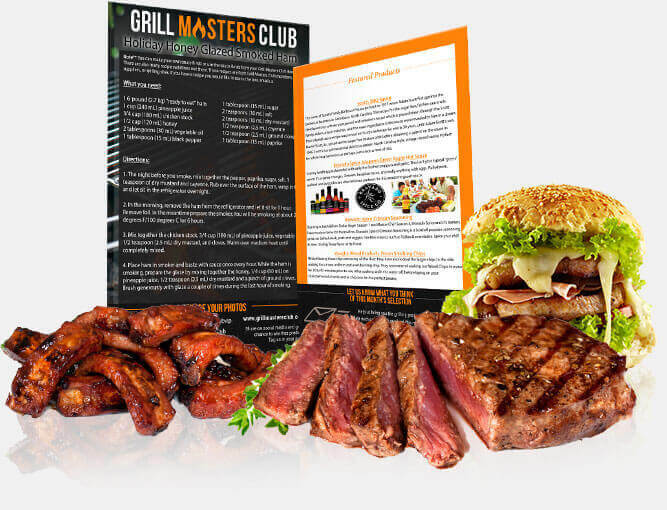 On the other side of the card is information about each company and product we include so you can read about each company’s history and how best to use their product.